two 3-volt CR123 lithium batteries with up to 2.5 hours of life for the TLR-2 and TLR-2s models, and roughly 1.25 hours of life for the TLR-2 HL and TLR-2 G models. On Amazon, the TLR-2 holds an outstanding 4.6 average rating across roughly 768 votes, with only 3% of those votes falling into the 1-star camp. It also appeared in four of the 12 “best of” lists I found via Google. one 3-volt CR2 lithium battery that can run both laser and light simultaneously for roughly 1.5 hours. On Amazon, the TLR-4 holds an outstanding 4.6 average rating across roughly 1,237 votes, with only 4% of those votes falling into the 1-star camp. It also appeared in three of the 12 “best of” lists I found via Google. Think of it as the budget version of the TLR-2: less than half the price, with a plastic housing and a less-powerful light. one CR2 lithium battery designed to provide up to 2 hours of continuous use. On Amazon, the Railmaster Pro Universal holds a 4.4 average rating across roughly 88 votes, with only 3% of those votes falling into the 1-star camp. It also appeared in one of the 12 “best of” lists I found via Google. 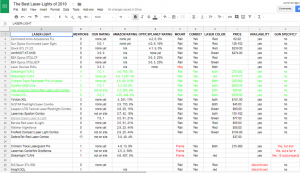 The low-ish vote count means the Railmaster Pro Universal’s 4.5 star rating is subject to a margin-of-error of ±0.2 stars. So, in a worst-case scenario, it’s possible (but unlikely) this laser-light’s “true” rating—i.e., its rating if every human voted—clocks in at only 4.3 stars. But that’s still above average, and it’s also possible (but unlikely) its true rating is a stellar 4.7 stars. 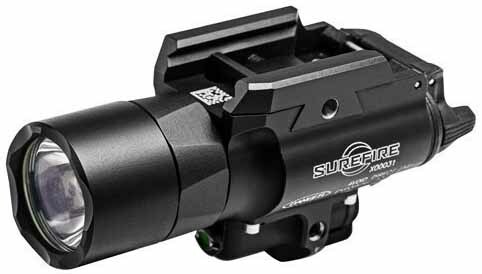 The Surefire X400 Ultra is built in an aluminum housing with either a red 5mW laser, a green 5mW laser or a .7mW infrared laser. 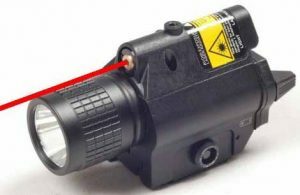 With the red and green lasers it comes with a 600 lumen LED light; with the infrared laser, it comes with a 350 lumen LED white light and 120mW infrared LEDs. A remote pressure switch is optional. You can adjust this sight for windage and elevation through an external toggle, and an adjustment tool is included. On Amazon, the X400 Ultra holds a 4.3 average rating across roughly 98 votes, with 8% of those votes falling into the 1-star camp. It also appeared in two of the 12 “best of” lists I found via Google. The low-ish vote count means the X400 Ultra’s 4.3 star rating is subject to a margin-of-error of ±0.2 stars. So, in a worst-case scenario, it’s possible (but unlikely) this laser-light’s true rating clocks in at only 4.1 stars. But that’s still a little above average, and it’s also possible (but unlikely) its true rating is 4.5 stars. 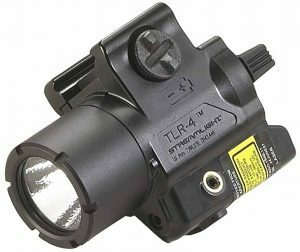 It’s the most expensive handgun light-laser by far on the market, but if it fits your budget, it’s worth a look. two 3-volt CR2 lithium batteries with 2.5 hours of life. On Amazon, the Red Laser Light Combo holds a 4.2 average rating across 265 votes, with 6% of those votes falling into the 1-star camp. It also appeared in three of the 12 “best of” lists I found via Google. I hadn’t heard of Ade Advance Optics, and all other cheap laser-lights I’ve found have received poor ratings and reviews. However, this laser-light is by far the cheapest, above-average device I’ve found, and it’s the only cheap laser-light to make this list. Couple the low price with Amazon’s easy return process, and it seems worth a gamble. 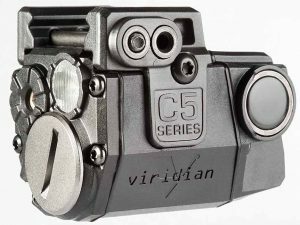 On Amazon, the Viridian C5L-series lasers hold a 4.25 average rating across 448 votes, with 9% of those votes falling into the 1-star camp. It also appeared in six of the 12 “best of” lists I found via Google. 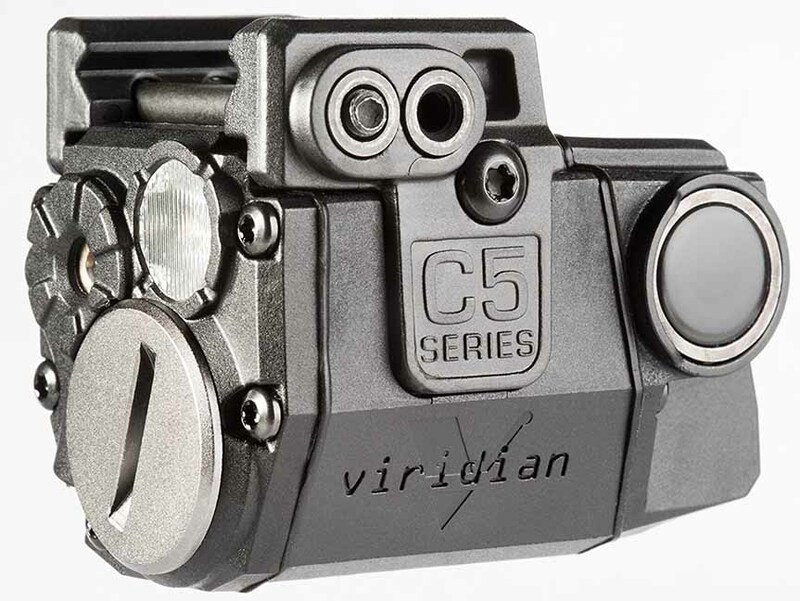 The C5L therefore features a little better than average star rating and a slightly worse than average 1-star rating ratio, and it appears in more “best of” lists than any other laser-light I’ve seen. This list ignores frame/triggerguard-mount laser-lights because those devices fit specific handguns only. However, it’s worth noting that the three manufacturers making that type of laser-light—Streamlight, Lasermax and Crimson Trace—make them for multiple handgun models. Streamlight, for instance makes its TLR-6 laser lights for 18 different subcompact pistols. 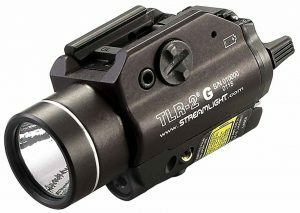 And, the Crimson Trace and Streamlight devices hold above-average ratings on Amazon, so if you prefer a one-gun-only, frame-mount laser-light, check out their offerings. That’s it for now. 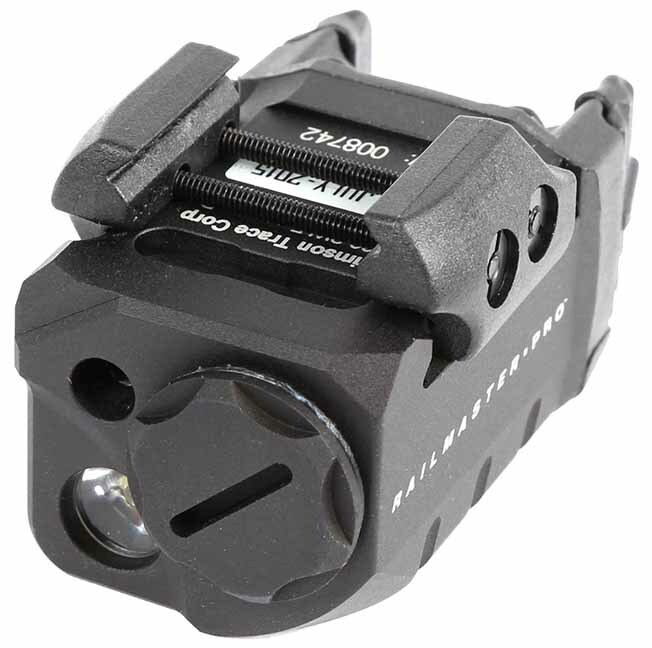 Hopefully some new, good rail-mount laser sights will hit the market this year, and I’ll keep tabs on the current crop, too. Jed Henson runs the review and ratings sites GunsGunsGuns.net and HandgunLasers.net. This entry was posted in $25-$250, $251-$500, $501-$750 and tagged Survey Says on January 6, 2018 by Jed Henson.